Cary, NC – Triangle Oktoberfest keeps getting bigger with each passing year and 2017’s follows that tradition, with music from a nationally recognized polka band, competitions to lift enormous beer steins, authentic food, beer and steins from Germany and much more. Triangle Oktoberfest, taking place at Koka Booth Amphitheater on Friday and Saturday, October 6 and 7, 2017, has been a local tradition for the past few years now, carrying on the much older traditions of Bavaria and Germany at large. Through the partnership of the Apex Sunrise and Cary-MacGregor Rotary Clubs and the Town of Cary, the event has gotten people together to enjoy German beer, food, music, dance, games and beer while also raising money for charities. This year’s charity is the Leukemia and Lymphoma Society. Among this year’s additions are the inclusion of popular band the Polka Brothers, who have made a name for themselves mixing traditional dancehall polka with modern music to play polka-themed covers of current day hits. The Polka Brothers will be performing all day Friday and will kick off the Saturday event, with local favorites Peak City Sound playing on Saturday night. Other games include Hammerschlagen, a game involving hammering nails into a stump (“as simple as it sounds,” Bossé said), two weiner dog races, a yodeling contest and more. 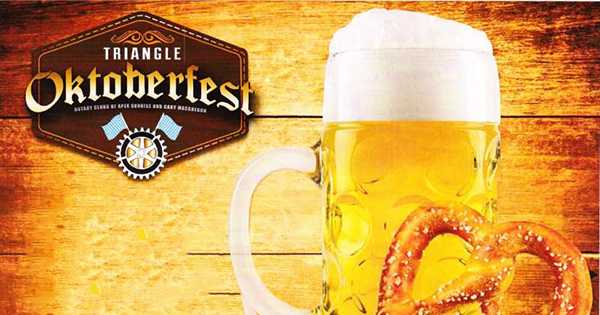 For Bossé, bringing an authentic feel to Triangle Oktoberfest is important. “The key is to create a fun and festive environment while sticking to the Bavarian way of doing things,” Bossé said. That Bavarian way affects the music, the games, the dancing and the lederhosen and dirndls many participants wear, and it particularly affects the food. In addition to many varieties of beer from Germany, Bossé said there are also an assortment of foods from Bavarian nuts to strudel, with chefs trained in Germany coming out to the event. “You go to Oktoberfest in Munich and you get this amazing rotisserie chicken and all this great food,” he said. To go with real German beer, there will also be a vendor from Stein Center with more than 400 steins made in Germany. “They will also be appraising steins so if you have steins or tankards or anything like that, you can bring it in and have it appraised,” he said. 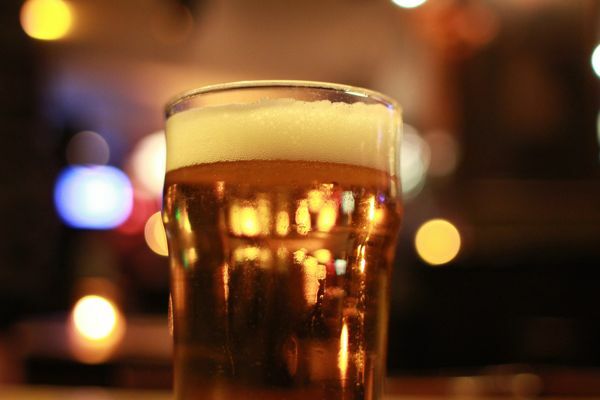 The event will kick off on Friday with a keg tap with representatives from Cary and surrounding municipalities’ governments as well as dignitaries from the participating rotary clubs. Story by Michael Papich. Photos by Triangle Oktoberfest and Hal Goodtree.